There is a lot of talk in the industry about the rise in ‘smart buildings’ and ‘smart security systems’, but what does this actually mean? With the incorporation of information technology and the Internet of Things (IoT), it basically means businesses are getting smarter in everything they deploy. Going beyond the physical security realm, the access control system needs to pay for itself and add real measurable value to businesses. This can be achieved by either reducing operational costs (by combining the use of several devices into one multi-functional unit) or by doing more by enhancing operational efficiencies (through the use of ‘intelligent smart applications’ at the door or the centralised command and control of integrated systems). From a security viewpoint, the access control system and integrated sub systems such as video, fire, intrusion, etc. need to work smarter for the user, with systems accurately sharing information and data to optimize total building performance. A recent example of a CEM Systems ‘smart building’ deployment is the new iconic ‘One Albert Quay’ project in Cork, Ireland. Renowned as ‘Ireland’s smartest building’, One Albert Quay has all its critical systems including lighting, heating, power, access control, video, fire detection and fire suppression all connected to enable the smart use of data. As the industry moves more towards preventative security measures, the role of systems integration and the unified gathering of analytics from building ‘data’ becomes even more profound. “After all Intelligent Security shouldn’t be about capturing the event after it has happened. 2017 will see the growing use of collaborative building data and analytics to look at vulnerabilities before they happen”. Very often the access control system is seen as a ‘grudge’ purchase. To help change this mind-set and to enable the access control system to help pay for itself, CEM Systems has a range of intelligent security products that add business value. This includes the emerald multifunctional access terminal which effectively takes the functionality of numerous security devices and combines them into one powerful terminal. As an intelligent touch-screen card reader and door controller in one, emerald features an internal database, scramble keypad, integrated Voice over IP intercom and the highest level of built-in smart card technology. However, as an intelligent edge device, emerald goes beyond primary access control functions. Using a range of ‘smart applications’ directly on the emerald terminal, users can perform what was historically client PC application functionality right at the door, without the need to install dedicated PC software and licenses. Smart applications include among other things a ‘Local Access’ app for locally changing cardholder privileges directly on the terminal, an integrated staff ‘Time & Attendance’ app, a building ‘Entry/Exit Checklist’ app where card holders have to answer pre-defined questions before access is granted and a meeting ‘Room Booking’ app. The unique emerald ‘Room Booking’ app eliminates the requirement for a separate room booking solution from the access control system. Here users can easily create and edit meeting room bookings through their Microsoft Outlook® exchange calendar or directly on the emerald terminal at the door. This provides a smart, quick and convenient way to ensure efficient meeting room allocation. “It’s also important to remember that a smart solution doesn’t always have to be a smart app”. Harland & Wolff’s engineering facilities in Northern Ireland recently deployed CEM Systems S3040 portable hand-held card readers at dry dock areas to successfully enable people counting and “mustering on the fly” in emergency situations. This created measurable efficiency gains for Harland and Wolff by successfully bringing their evacuation drill mustering time down from 45 minutes to nine minutes. The move away from legacy technologies to using Smart cards is still a challenge in the industry today. CEM Systems will continue to work with customers throughout 2017 to smoothly migrate them from unsecure technologies (such as 125 kHz, Proximity and early MIFARE smart card technologies), to a more secure smart card technology with encrypted algorithms (like DESFire EV2). However, every project has its challenges. The challenges that small companies face when implementing smart cards are cost and knowledge about the technology. Larger companies will have additional concerns such as how they physically manage the migration process and roll out of the new smart cards; especially when multiple sites and multiple security systems are deployed globally. There is also the overall challenge of new technology compatibility with customers’ existing systems and the critical decision of whether to opt for pre-personalised smart cards versus customer personalisation on site. Another growing trend in the industry and an example of how access control systems are getting smarter for users is the use of mobile phone credentials. Using smartphones as a form of credential is a viable option and can be used either as a supplement or a complete replacement for an ID card. After all “Some people forget their ID card, but no one forgets their phone”. The benefit of the mobile credential is that it saves time and the cost of physically sending out an ID card, making it an ideal solution for businesses with remote workers and numerous remote sites. Obtaining a card from one central location can be a hindrance as it’s often a distance away. Rather than users having to visit the ID unit to obtain a card they simply download an app via the iOS® or Android™ platform store and the credential is swiftly sent to their smartphone and enabled via email. In a perfect world the ultimate goal is ‘frictionless access control’ where the door is smart enough to know that you are the right person going through the door without an ID having to be presented. Although technology continues to progress to support non-credential access control for obvious reasons, we are not there yet. The use of wearable technology such as the smart watch is a growing trend, but there are limitations with the practicalities of its use, as required NFC (Near Field Communication) capabilities, etc. are not deployed in most watches. To ensure the highest possible level of security and in light of the growing vulnerabilities of card cloning, biometric deployments are continuing to grow. The biometric industry is exploding in terms of reliability and availability of sophisticated products, with many now becoming technically and financially viable. Speech and voice recognition without an ID card is gaining popularity, along with facial recognition. However, biometrics does have its limitations in certain environments. For example, within airports there are many light areas and shadows where the accuracy and quality of the facial read can be greatly affected and reduced. “Biometrics always come with challenges and trade-offs. Customers opting for biometrics must analyse cost and the level of security required versus its reliability in terms of false rejection and acceptance rates”. To overcome biometric reliability challenges within the industry in general, we are now seeing the growing deployment of ‘multi-modal (dual) biometrics’ as a more sophisticated and reliable biometric option. To ensure higher levels of reliability, 2017 will continue to see dual biometric checks like Iris & Face or Fingerprint & Vein being deployed at the same time. The combination of the two biometric options gives users a much more superior read and the fusion of these two technologies provides low failure to enrol rates. CEM Systems also continues to overcome challenges in a number of ways. In addition to having our own fully integrated access control and biometric enrolment solution, we have partnered with third party biometric providers such as Safran Morpho to develop high level integration of Finger & Vein readers at the software enrolment level. Here MorphoAccess® biometric enrolment is seamlessly integrated into the AC2000 access control system software. This integrated process means a quicker biometric read time, less errors at the door and ultimately less lines of throughput traffic/queues at access control points. More and more businesses are securing doors via a hybrid approach; with high security doors installed with intelligent card readers and typically less secure areas (that perhaps wouldn’t have been secured), now fitted with wireless locks. The wireless/offline locks trend will indeed continue to grow throughout 2017 as we see its installation into areas such as server room racks and cabinets. 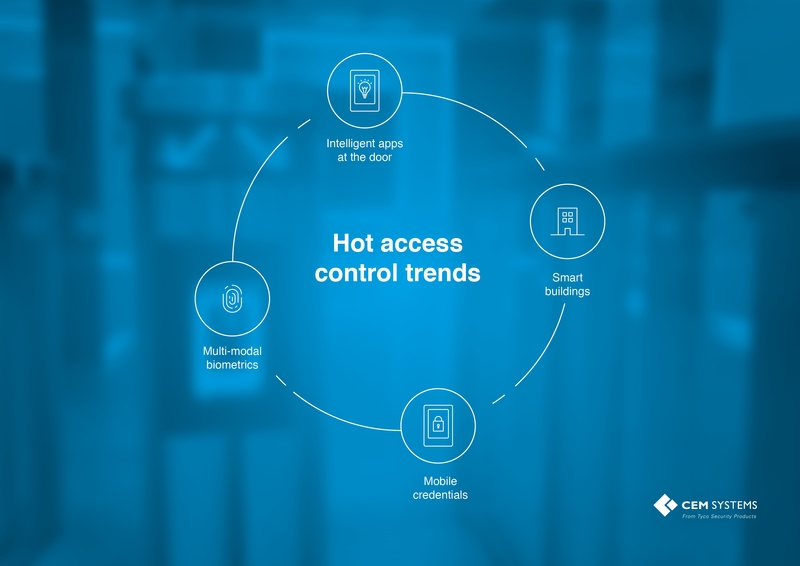 With wireless locks data and analytics fully integrated into the access system for central monitoring and reporting, customers have a comprehensive and powerful platform that not only enables the smart gathering of data but supports the growing trend towards smart buildings. The security industry is becoming increasingly complex with more and more suppliers now proliferating disparate areas outside of their core business. 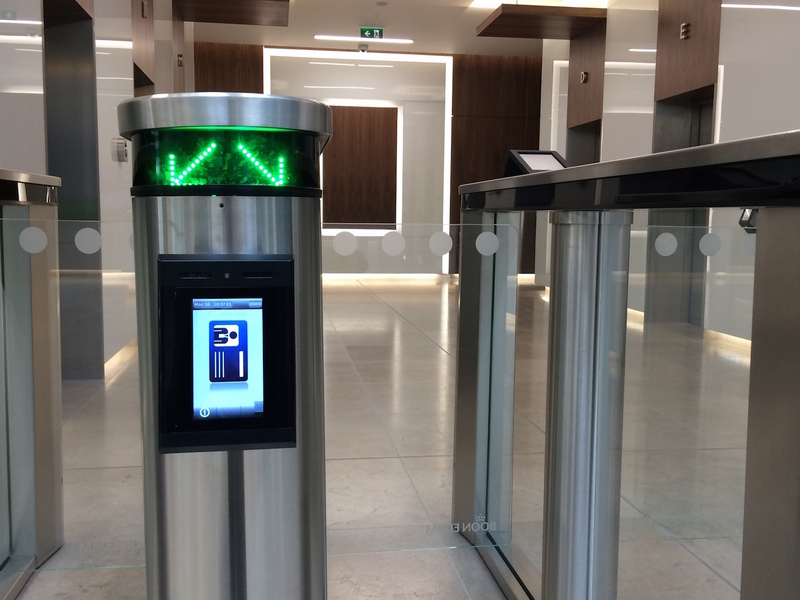 For example, with the release of the emerald access terminal, CEM Systems is now operating in areas outside of access control such as the intercom and room booking space. As manufacturers continue to supply and integrate with third party products from third party partners, the importance of cross industry co-operation becomes even greater. However, it does represent challenges for suppliers. 2017 will continue to see industry player’s work together to tackle integration software challenges such as maintaining backward compatibility of integrated systems. We must also ensure that products support industry standards and open protocols, such as the recent Open Supervised Device Protocol’ (OSDP), which was introduced as an open protocol to replace unsecure Wiegand communication between the card reader and door controller. As technology continues to progress this year it will be interesting to see by the end of 2017 where we are with regards to pure frictionless access control, as well as the measurable operational gains being reported from smart buildings. It is also likely that more and more industry standards will be introduced. On a personal level, I will be keeping an interested eye on robotics and how that evolves into the security industry; but that trend is for another day.